Dr. Lopes out with the 10km clinic at the York Mills Running Room. Dr. Lopes at the York Mills Running Room for the 1st run talk of 2017! 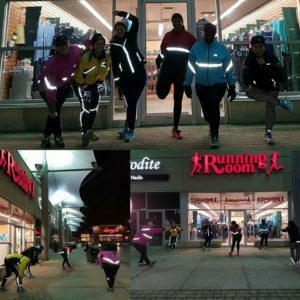 Dr. Lopes went out to the York Mills Running Room on January 23, 2017 for the 1st run talk of the year! 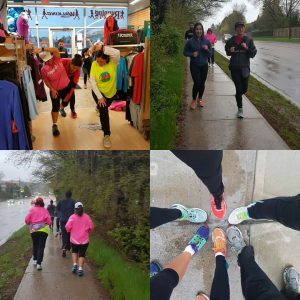 It was a bit chilly, but the Learn to Run/5km groups were great! We talked to them about injury prevention, joined the groups for a run and followed it by a full body stretch session outside. 1st talk/run/stretch session of 2017 with the Learn 2 Run & 5km York Mills Running Room clinics. http://www.361clinic.com/wp-content/uploads/2017/05/Run-clinic-1st-of-2017.jpg 960 960 Melanie Lopes http://www.361clinic.com/wp-content/uploads/2016/10/361_logo.png Melanie Lopes2017-05-16 20:18:392017-05-16 20:18:39Dr. Lopes at the York Mills Running Room for the 1st run talk of 2017! CHIROPRACTIC & ACUPUNCTURE: Available through till Mon. Dec 26 (Boxing Day) and including Sat. Dec 24 (Christmas Eve). REGISTERED MASSAGE THERAPY: Available through till Fri. Dec 30. Dr. Lopes will be acting as Conference Chair for the annual Royal College of Chiropractic Sports Sciences Canada conference held in Toronto. This year’s theme focuses on throwing athletes and looks at the nutritional, rehab, psychological and treatment aspects around throwing athletes. We also have a radiology seminar dedicated to throwing injuries on the Friday. Dr. Lopes was out there in the sun and rain on Sunday, October 16, 2016 to cheer on friends, patients and fellow runners as they went out to tackle the 5km/Half marathon/Full marathon races! It was a great day to support those who have given months of their time for this race. Dr. Lopes attended the 2016 Society for Weight Training Specialists Symposium over a period of 3 days. We were exposed to many speakers who spoke over a range of topics covering training, diet, treatment and rehabilitation for athletes who weight train. Meeting Dr. Stuart McGill, the guru who has taught us everything about Low Back Stability. On September 27, 2016 Dr. Lopes went out to the York Mills Running Room to give an information talk about injury prevention and stretching to the Full Marathon Clinic. We got to go out for a run and go through a full body stretch session with the large group. School is back in session at CMCC which means that weekly Resident Rounds resumes at 7am every Wednesday morning. Dr. Lopes attends these weekly rounds sessions where sports, clinical sciences and radiology chiropractic residents present various cases with the most up to date evidence based research. First rounds of the year dealt with “Sports Injury Prediction related to Hamstring Strains”. This was our 2nd year providing both registered massage therapy (RMT) and chiropractic services at this latin dance congress in Toronto. We had dancers who travelled from across Canada and the USA. The days were filled with dance workshops for salsa, bachata, kizomba and semba, and the nights were mixed with nightly performances and social dancing till 4am! Both our RMT, Michelle, and our chiropractor, Dr. Lopes, were kept busy treating dancers and professional performers for all their aches and pains as they danced throughout the weekend.